There have been shocking reports in recent years of the many threats facing Honeybees. It has been speculated that, because of the spread of bee parasites, virulent viruses against which they have no natural defensesand more intensive farming practices, nearly all wild colonies have died out. It seems that without beekeepers to care for them, honeybees could disappear altogether in a few years. There are things that we can all do to help, planting nectar and pollen rich plants in our gardens, reporting bee swarms to a local beekeeper who can re-home them safely or maybe even by becoming a Beekeeper! Beekeeping is a fascinating and rewarding hobby, and not just because the Bees provide Honey in return for their care! The Mid Kilkenny Beekeepers Association will be running a ‘Beginners Course in Beekeeping’ each Wednesday night, for 4 weeks from the 15th of February in The Orchard House, Kilkenny. Open to everyone interested in keeping honey bees, this Beekeeping Course is intended for beginners or for those who want to update their beekeeping skills. 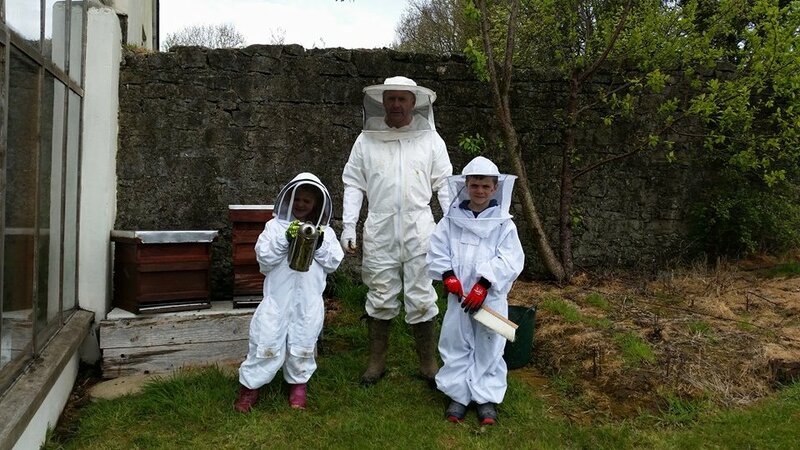 As well as the 4 lectures hosted in The Orchard House, the course includes instruction during the Summer months at the club apiary in Lavistown, Co. Kilkenny. Experienced members of the Mid Kilkenny Beekeepers will deliver the course and members will also act as mentors to attendees to help them develop their beekeeping skills. The cost for the Beginners Beekeeping Course is €100 which includes insurance, membership of the Mid-Kilkenny Beekeepers Association and subscription to the Irish Beekeepers magazine “An Beachaire” for 2017. The Mid Kilkenny Beekeepers association has been active in Kilkenny for almost 20 years and has 30 members, both new to the craft and long term beekeepers. The Association meets on the first Wednesday of every month at Lavistown Study Centre, which is also where the Association apiary is located. Each month the Association invites guest speakers hosts workshops or carries out demonstrations at the hives. New members or interested individuals are always welcomed.